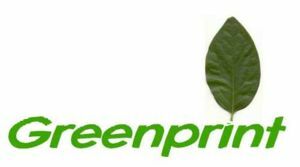 This is a Greenprint that identifies strategies, actions and approaches for moving us towards a sustainable future. Check carbon emissions of various energy sources to inform decisions about which to use and which to avoid. The following actions are the province of governments. If yours is dragging the chain, let you local, state and national political representatives know your views, and ask them what they will do to represent your views and suggestions. Put a price on carbon and introduce carbon rationing. Carbon environmental assessments should be mandatory of all major government projects, activities and policies. Remove government subsidies for fossil fuel use in Australia. Implement rigorous building energy efficiency standards and apply them to domestic and business building construction and renovation. Implement a feed in tariff which provides payment for clean energy of 5 times the retail rate (e.g. to those with solar panels that feed power into a grid). This has been very successful in Germany. Mandate that new buildings to produce 20 per cent of their energy requirements in building energy efficiency standards. This encourages both energy efficient design and installation of solar panels and/or wind power. This legislation has been successfully introduced in Germany. Implement a revolving energy fund (REF) to provide a financial incentive for councils or other levels of government to implement energy efficiency measures and practices. Introduce legislation to charge coal fired power stations the full cost of the very large amount of water they use. Shift existing coal fired power stations to usage of recycled water rather than drinking water. Introduce legislation to promote the use of sustainable biofuels such as crop residues and waste organic matter. Price fossil fuels according to their environmental impact and scarcity. For example, a larger amount of diesel is obtained from a given volume of crude oil compared to petrol, and diesel engines are more efficient than petrol engines. Diesel could therefore be cheaper than petrol. Remove tax concessions that encourage the use of fossil fuels - such as the tax deductible car leases that mandate a minimum distance the vehicle must travel per year. Fund research and development for distributed energy storage to make wind and solar power more effective and economic. Invest public money in the high risk ventures such as so called clean coal. It is not proven, it may not be commercially or scientifically viable, and it will take 10 to 15 years to implement (if it can be made to work). Use nuclear power as an energy source as it is not sustainable, the nuclear waste problem is intractable, and new nuclear power stations will take 10 to 15 years to build so it will be too late. Promote the use of unsustainable biofuels such as burning woodchips from native forests, making ethanol from corn or sugarcane, or palm oil. Allocate more funding to rail transport, public transport and green cars rather than building more roads and freeways. Include measurement of carbon emissions in all major project decision making and planning. Transition government car fleets to low emission vehicles such as electric, cng/h2 and/or hybrid vehicles. Mandate for dedicated commuter quality bicycle paths to be constructed along railway lines, new roads, and to form a grid network that adequately services your town, city or region. Introduce laws to make suppliers of goods responsible for disposing of the packaging they come in, rather than passing on this cost to consumers and/or local councils. Write your own blog articles to express your thoughts and observations on sustainable living. You also publish the letters you write to politicians and newspapers. Vote for political candidates who espouse green living and sustainable policies. Form a Green team in your workplace to promote and undertake environmental and sustainability initiatives. Commute using public transport, cycling, or telecommute. Put money and superannuation into ethical investments. Travel green and offset carbon emissions associated with travel. Make paper telephone directories optional. Provide households that request them with telephone/address book data on CD roms and cheap CD/LCD display units for households that request them. Allow households to opt out from all directory distribution - some may choose to just use the Internet. Manningham Green Print. A plan to ensure that the ecological processes on which life depends on are maintained, and the total quality of life we enjoy now and in the future can be enhanced. Low Carbon Incentive Scheme - based on 2% consumption tax, paid to low carbon producers and consumers, to break the funding focus on clean coal, and give renewable energy an equal chance at funding (Submission to Garnaut Australian Climate Change Review). PLANYC 2030 - New York's ambitious plan to go green. This article is part of Greenprint that identifies strategies, actions and approaches for moving us towards a sustainable future.